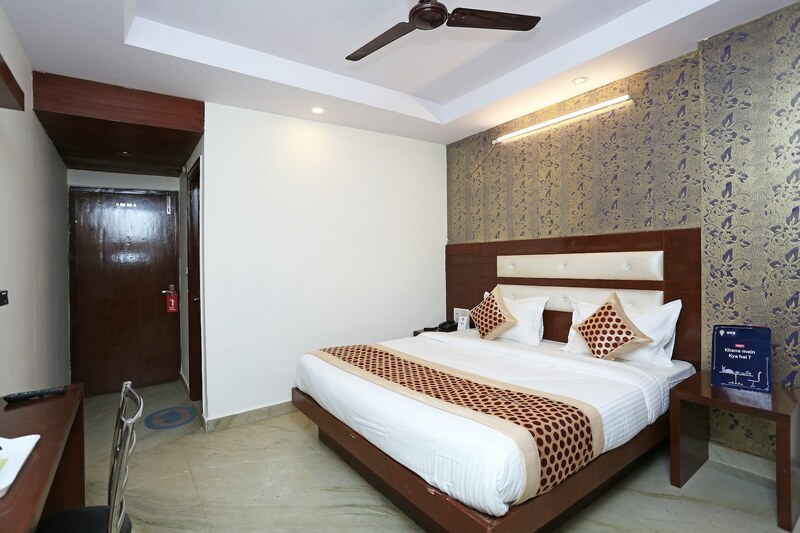 Hotel Repose Villa is located in Paharganj In Delhi. It located near the New Delhi Railway Station and is within walking distance of Ramkrishan Ashram Marg metro station. Guests can visit Jama Masjid, Chawri Bazar, Jhandenwala Mata Mandir, India Gate and other such famous places while staying at the hotel. There is a seating area in each room, and the rooms are furnished with cushioned bed posts and artistic wallpaper. The room facilities include air conditioning, television, free Wi-Fi and CCTV cameras. The restaurants nearby include Spicy green chilly, Malhotra Restaurant, Darbar, Diamond restaurant, vagabond and Kamal restaurant.